Families in Barnsley are being encouraged to talk about organ donation as part of Organ Donation Week from September 3 to 9. NHS Blood and Transplant – which provides the blood donation service for England and the organ donation service for the UK – is running the ‘Yes I Donate’ organ donation campaign, to inspire people to tell their families that they want to donate. The theme colour of the campaign is pink, and organisations across the country such as councils, business and universities are turning their buildings pink in support of the event. 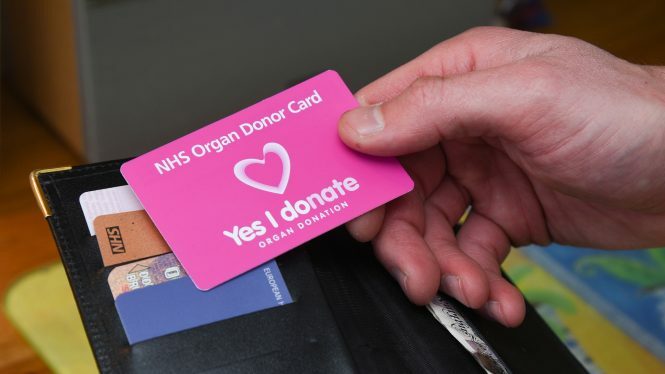 Nationally, three people die every day in need of an organ, and there are more than 490 people on the transplant waiting list in Yorkshire and the Humber area. More than 1.9 million people in the Yorkshire and Humber area are already on the NHS Organ Donor Register. However, people need to tell their family to help ensure their family supports their decision when they are approached about donation by a specialist nurse in hospital. We work closely with the other 15 hospitals in the Yorkshire Region to promote and conduct organ donation. The hospital is currently working on producing an organ donation memorial on site to ensure those that have selflessly ‘gifted life’ to others are recognised.